Ideal for meetings and brainstorming, this Bi-Office Flipchart Easel has a durable and stable stand made from touch anodized aluminium. 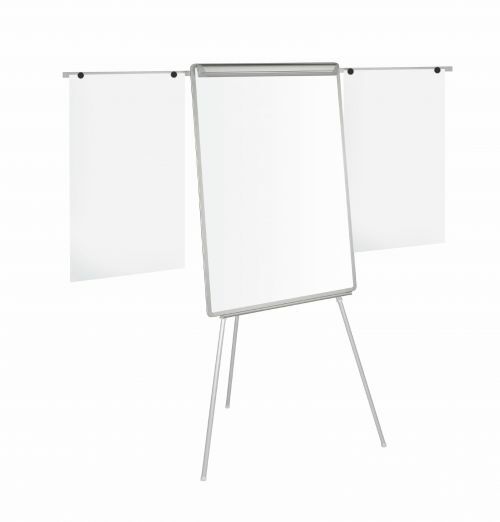 Simply place a flipchart pad into the flip-up clamp and adjust the height of the easel legs to suit you. 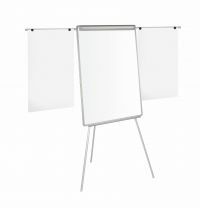 You can hang pages on the extendable side arms for additional useable space or write with drywipe markers on the backup whiteboard. This item includes a pen tray for marker storage.